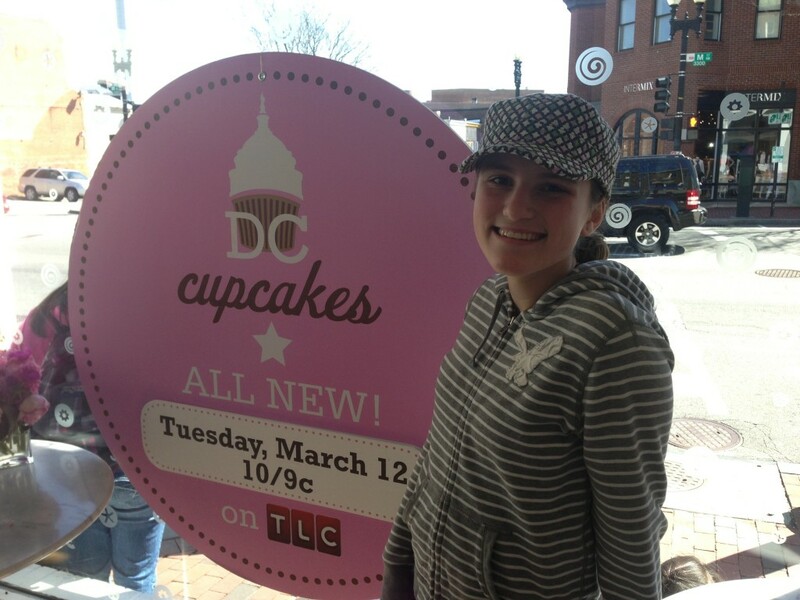 More DC (cupcakes) for me. 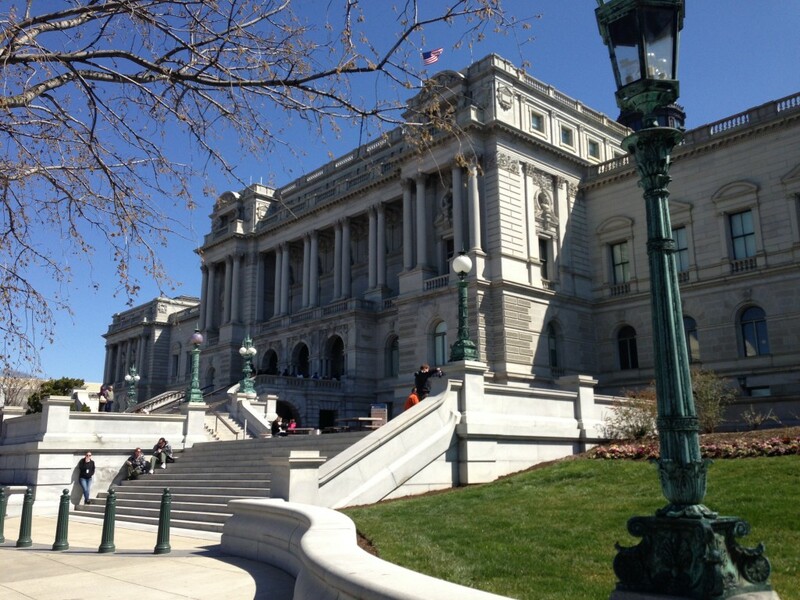 Day Two began with a fascinating tour of the U.S. Capitol building and the Library of Congress. 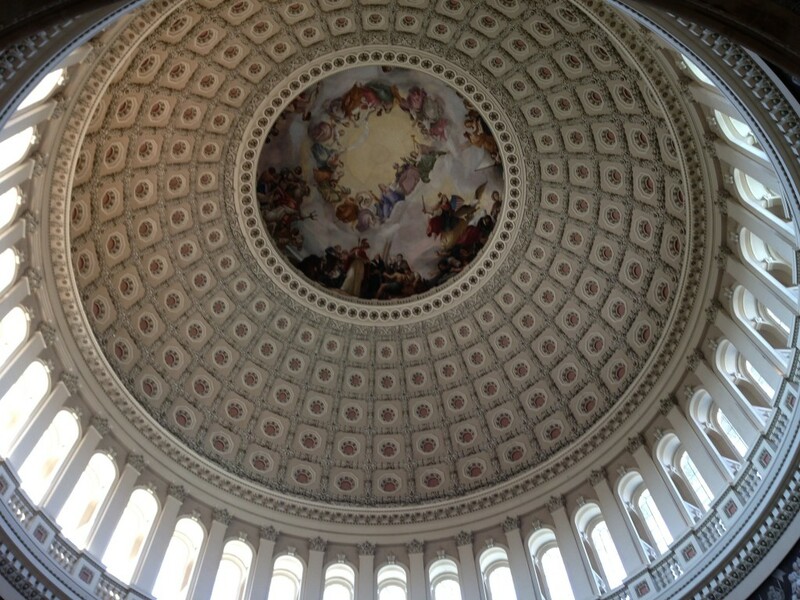 Both buildings were spectacular and inspiring and made me want to sing the praises of democracy to all who would hear them. Okay, enough on that. Now let’s talk cupcakes. 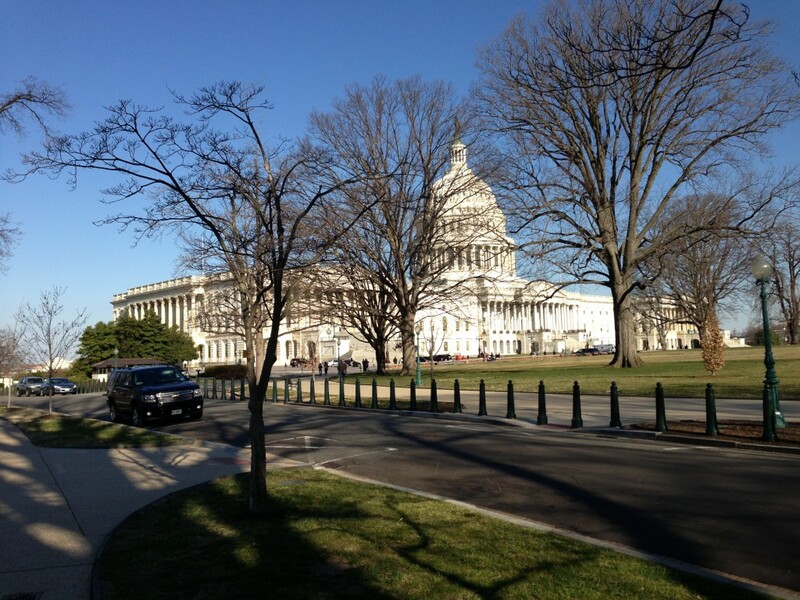 After our long morning our touring we decided, per Rachael’s request, to skip our planned afternoon at more monuments and instead take a bus ride out to Georgetown. What was in Georgetown, you might ask? (Besides the cruel evidence of a swanky and sophisticated life that was never meant to be my own?) Why, what else? DC Cupcakes! True-Price-of-Freedom (I was on a roll, and picking up steam with each passing monument), and take her do something fun. 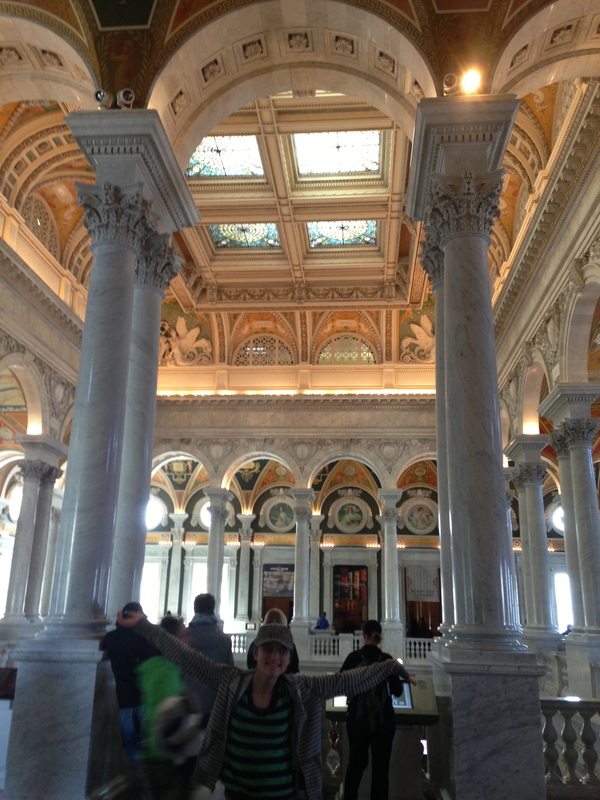 So, though I myself had a hankering for the Holocaust Museum (who says I’m not a fun mom?) Georgetown it was. And was it evah!. Fabulous, just fabulous. Have you been there? (I’m sure you have–I’m learning that everyone’s been to DC except me.) It’s hip and historical and whimsical and dignified all at once, steeped in old money, modern shopping, and overager moms who step off the tour bus and stare shamelessly at the Georgetown coeds jogging by, effortlessly chic in their lycra and long ponytails and benign indifference to the chubby lady on the corner standing and staring and wondering What Might Have Been. Wait. Where was I? 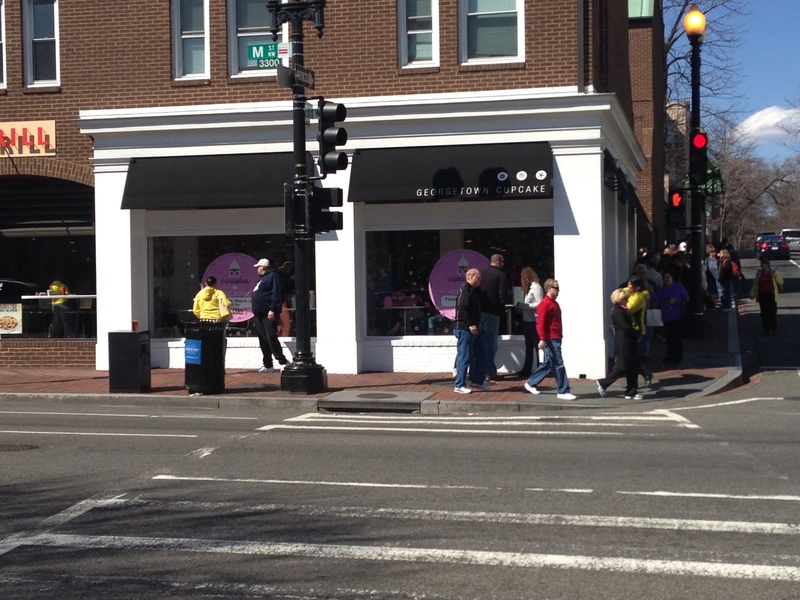 Oh, yes, standing outside of both Georgetown Cupcakes and the Georgetown Life I Should Have Had. The long and short of it? 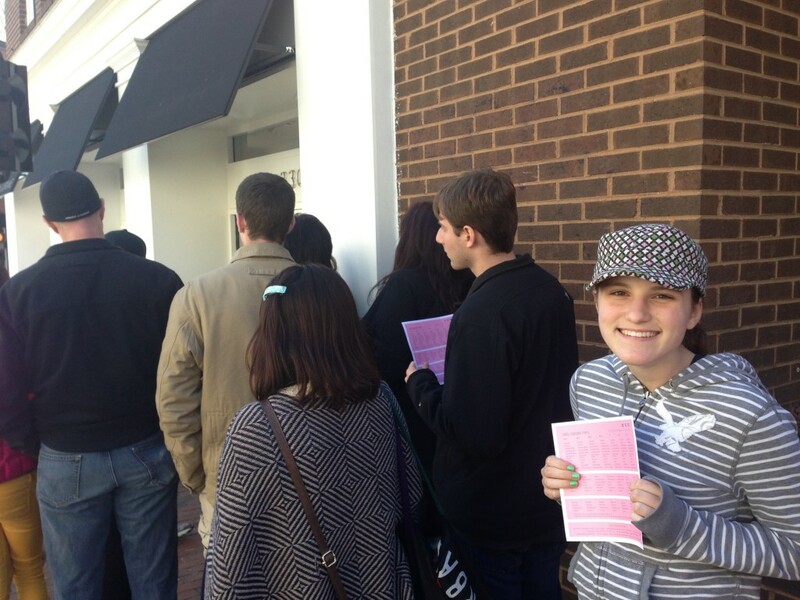 Georgetown Cupcakes was cute and fun and worth the surprisingly short fifteen-minute wait in line. We ordered six cupcakes for $16.50. (Yes. 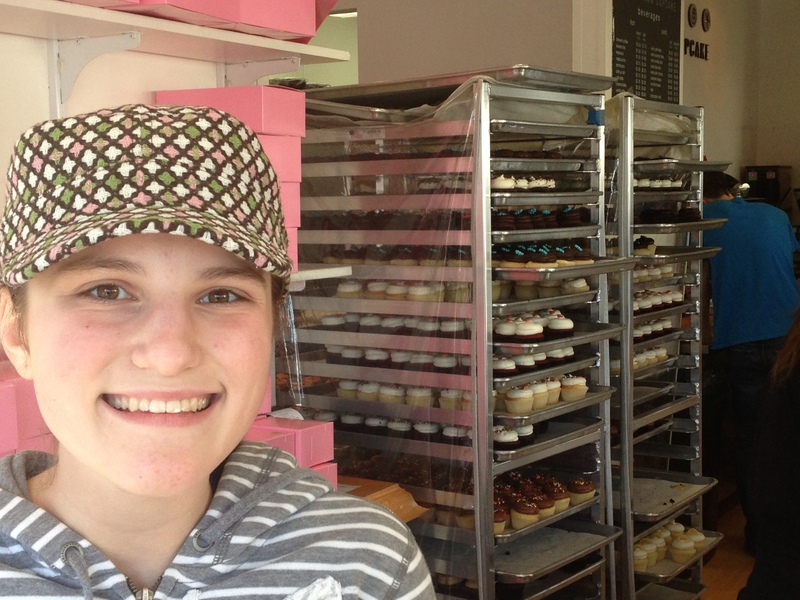 Sixteen dollars and fifty cents for ten cents’ worth of cupcakes. Just doing our part to keep the Georgetown set effortlessly stylish.) 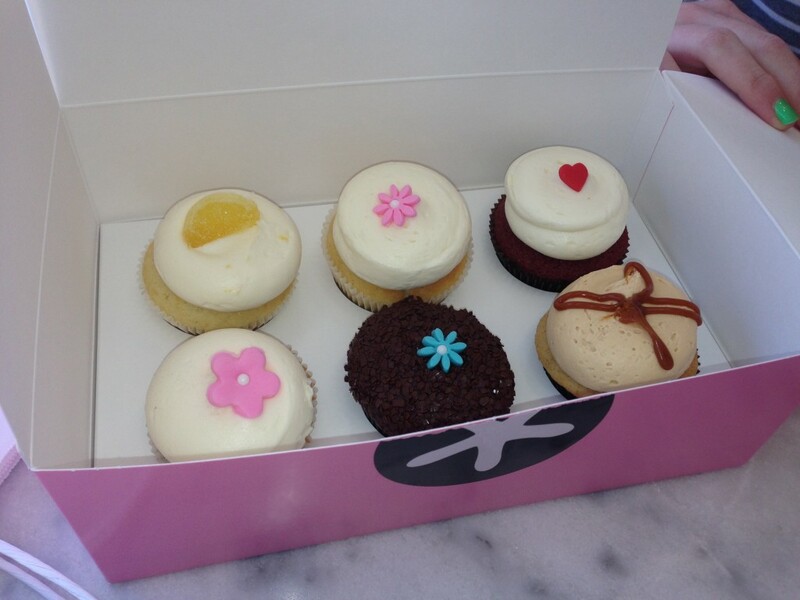 The flavors were fun–Cherry Blossom and Salted Caramel among them–but the cupcakes themselves were, well, pretty good cupcakes. Call me an cynic, but really: they’re. just. cupcakes. (And truth be told, the Chocolate Hazelnut was a tad dry.) Diagnosis? Fun and trendy and, as with all things famous, a little oversold. But totally worth seeing. And Rachael loved it. The best part of Georgetown actually came afterward, when we walked and talked and looked at all the beautiful shops along the cobblestoned streets. I ducked into to Dean and Deluca, drooled for the better part of an hour, and came out twenty-five dollars poorer, the money somehow having been spent on a surprisingly small number of gourmet chocolate bars. (I figured Dean and Deluca was on the wrapper, it had to be better than chocolate in Kennewick.) We did some clothes shopping and window shopping and admired all the quaint little buildings that toppled over one another in such a friendly, happy way. When I stopped to snap a photo, Rachael pulled down hard on my arm and angrily whispered “Mom–stop! The goal is to look like we live here.” She’s catching on quick, that one. But I do not believe we met that goal. I think my Ross purse and gigantic tour map may have had something to do with it. Lest we got too comfortable in this alternate reality, we ended the day with a stop at Subway for some Baked Lays and a soda. We decided that we needed some salt after our cupcake binge, and stopping at Subway in that charming little neighborhood was like leaving a handprint of Eastern Washington on the uppity landscape of Georgetown. They needed to know that we came, we saw, and–we couldn’t afford it. Except for the sixteen-dollar cupcakes. Previous Article D my C.
Next Article as a stay-at-home mom thinketh.